This mammoth collection of classic Triumphs has just been revealed by a US collector, and represents a near-perfect history of the British marque's pre-Hinckley production. 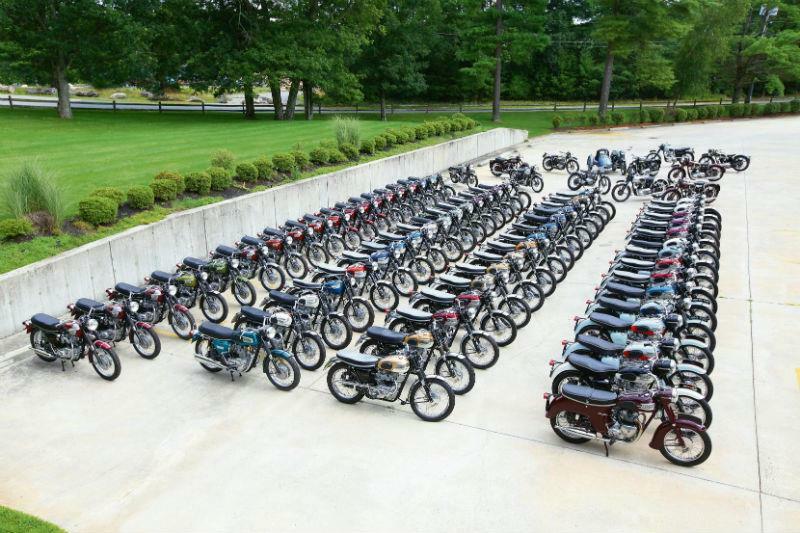 The 98-strong fleet - which contains 26 variants of the TR6 Trophy and 43 different models of the T120 Bonneville - covers bikes from every production year of the 1936-72 Triumph Engineering company. Built up over the past 21 years by private businessman Robert Sullivan, it contains a slew of original and rare models, including the Tiger, Speed Twin, Trophy and Bonneville. Sullivan was inspired to amass the bikes while at the 1990 Daytona Bike Week in Florida. Read the story behind the private collection in this week's issue of MCN (5 October), on sale now. Don't miss out, subscribe to MCN today from £1 per issue.